Mt. Juliet, Tenn. – Mt. Juliet Animal Services is urging citizens to consider the safety of pets during cold weather. Very cold weather is moving into the area, and pet owners must ensure that their furry family members stay warm. It is always best to keep pets indoors. If they need to be outside, they should have adequate shelter that protects them from being exposed to the very cold temperatures. If animals are exposed to the cold for a lengthy period of time, they will become susceptible to hypothermia. Hypothermia is most likely occur when an animal is wet and cold. A veterinarian should be consulted immediately if a pet is violently shivering followed by listlessness, apathy, a temperature below 97 degrees, and finally, collapse and coma. Mt. 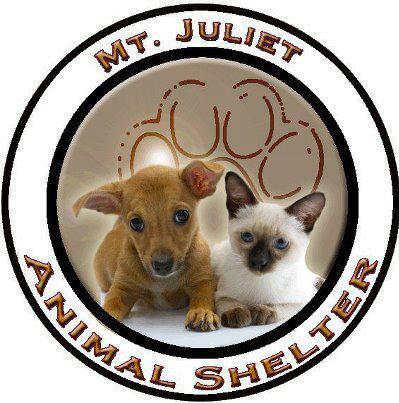 Juliet’s Animal Control officers frequently find pets without shelter or living in an inadequate shelter. For example, they found a dog living out of clothes dryer, which is definitely not adequate for cold weather. Mt. Juliet Animal Services can be contacted at (615) 773-5533 if someone feels that a pet is being neglected. If people have to bundle up for the cold weather, then pets need to be protected, too. Keep pets inside. If animals can’t be inside, provide a warm, comfortable place. Face shelter away from wind and provide a flap or door to help keep the animal’s body heat inside. Bedding is essential for insulation. It protects the animal from the snow and ice underneath the body and allows the animal to retain heat within the bedding. Cats may sleep under the hoods of cars to stay warm. If you have outdoor cats in your area, check under the hood before starting your car. Keep your pets secure in fencing or use a leash. Pets can lose their sense of smell and direction in the snow and ice, so they can become lost. Wipe off your dog’s legs and stomach after being outdoors to remove any ice, salt or chemicals. Outdoor pets need more calories to produce body heat so extra food and water must be provided. Devices are now available to keep water dishes from freezing; if one is not available, fill and replace water frequently.